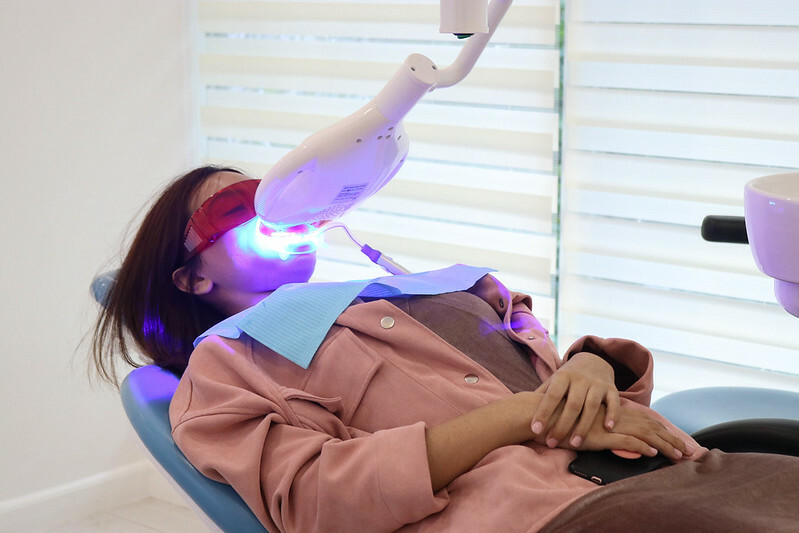 Not a lot of people consider oral health as a priority, but studies show that 87% of Filipinos suffer from tooth decay, and oral care among the youth is becoming a major concern. I know most of us only visit the dentist when there's already a toothache (guilty!) but we should visit them every 6 months for tooth cleaning, assessment for gum diseases, or even checkup for oral cancer. Before, I used to go to small dental clinics near my place, solely for convenience and just to get the job done. 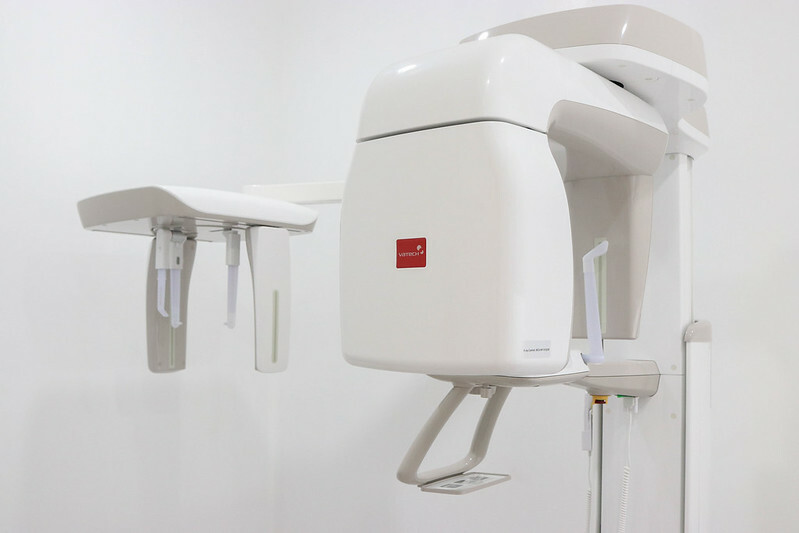 So when I finally visited Affinity Dental Clinics, I got surprised with their premium equipment and stunning rooms. 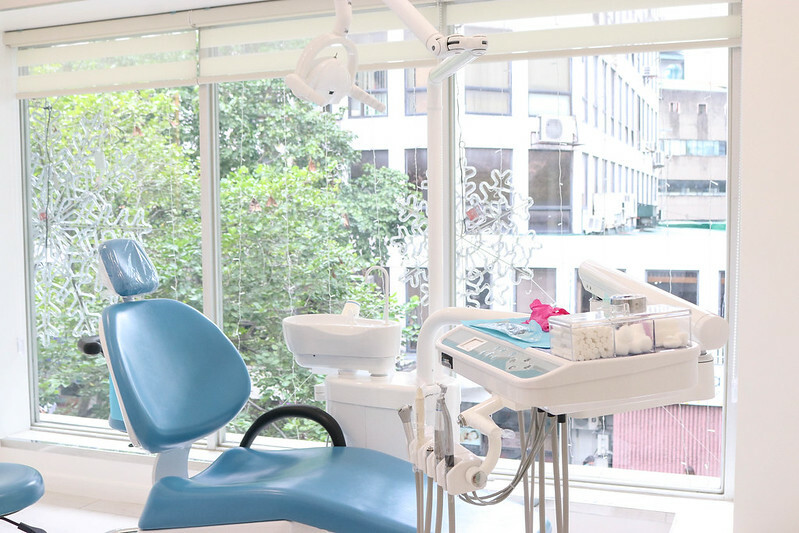 Indeed, they invested in creating the most beautiful and modern dental care facilities in the Philippines. Upon entering, you won't feel like you're about to enter a clinic because of their modern design elements in warm and inviting tones. Super calming and spacious, an interior appropriate for young and old. Affinity Dental Clinics Makati is the largest, most modern and flagship clinic in the country. It's situated within minutes from residential condominiums, villages, offices, and all major hotels. They have 5 private suites. 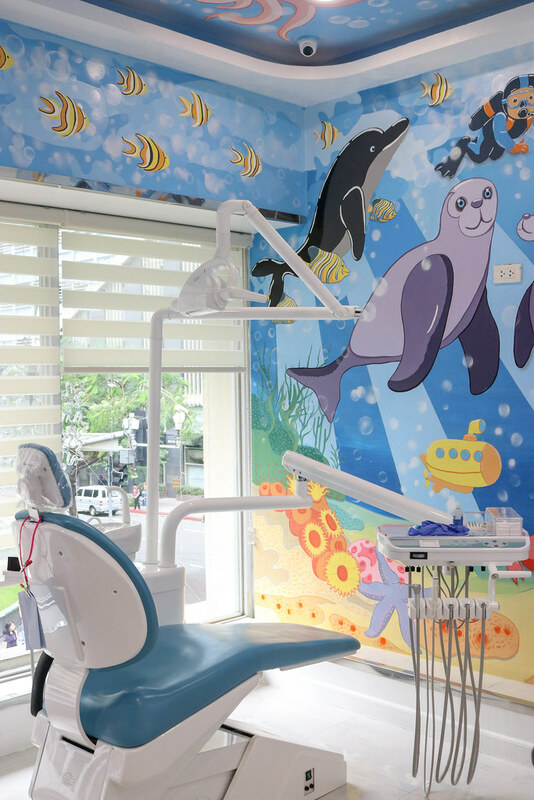 One of them is an under the sea themed kiddie room, perfect to make children be more comfortable than scared of oral treatments. 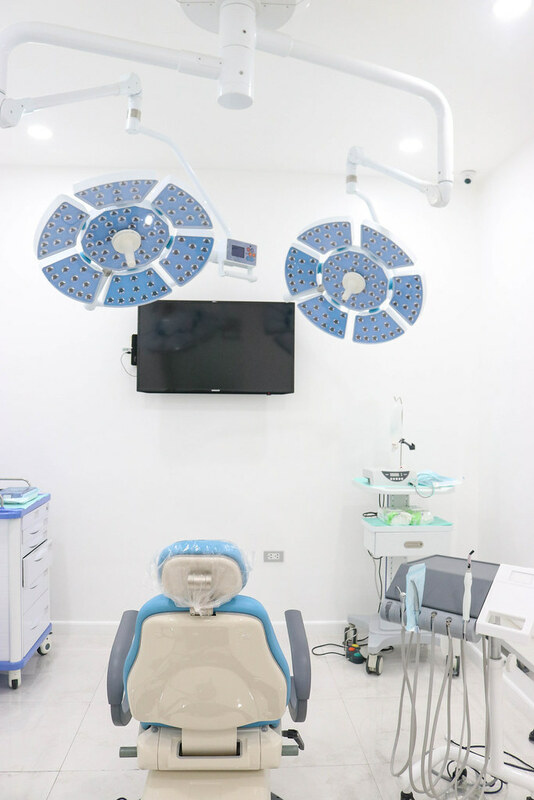 Here's their sterile and state of the art Operating Room for surgeries and dental implants. Sleek! In a nutshell, teeth whitening is the process of using bleach or other chemicals to make the teeth look whiter. I haven't done such kind of treatment before. Luckily, my dentist said that I don't need much whitening, just make them around 3 shades lighter. 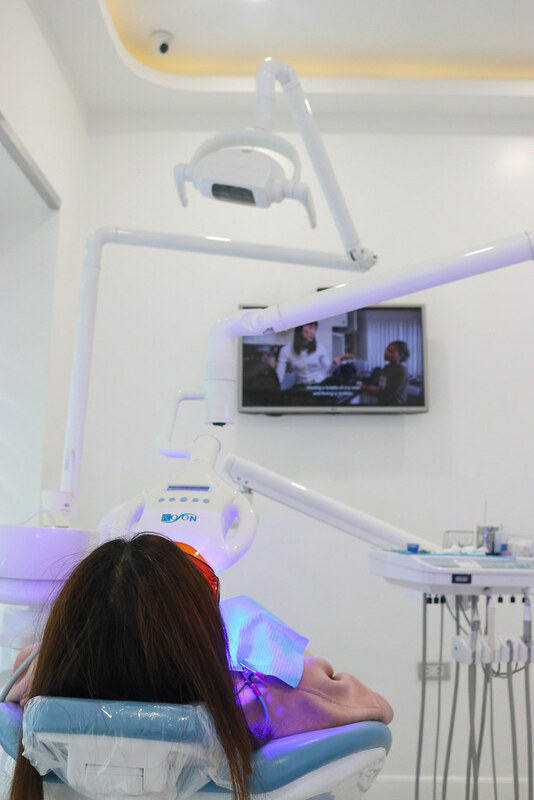 My 3-hour procedure started with Oral Prophylaxis, commonly known as teeth cleaning. It removes tartar and plaque build-up from the surfaces of the teeth as well as those hidden in between and under the gums. Having this session regularly can help prevent tooth decay, gum disease, and bad breath. First, they applied mousse on my gums to protect them from the procedure. Then they applied the bleaching solution on each tooth, and left it with the laser machine for 20 minutes. This routine was done thrice. To be honest, the procedure wasn't painful, but you'll feel "pangingilo" or sensitivity. That's normal, and you can always tell your nurse when you're uncomfortable so they can give you aid. 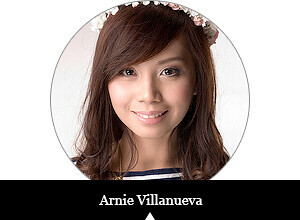 When we're finally done, they gave me a couple of guidelines to help maintain my pearly whites and ease pangingilo. For the first 24-48 hours, I was advised to just take in white and clear food, and avoid tomato-based and curry-based food, chocolates, and dark green vegetables. They also told me to avoid drinking coffee, tea, and wine - all those, I really cannot stay away from TBH - but doing such will help keep its whiteness for up to 2 years!